This is the fourth entry in the classic Monkey Island series of comic point-and-click adventures, and while it remains an enjoyable enough experience, it sadly doesn't live up to the sheer brilliance of its predecessors. As such, it's a cautious recommend, and even if you are a massive fan of the franchise, you might end up a little disappointed. 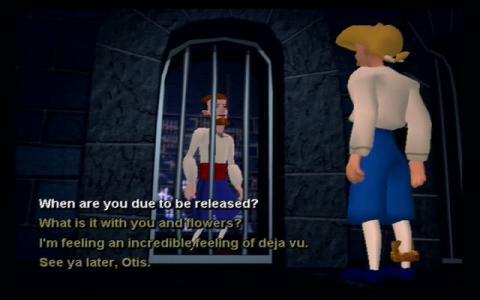 The story here is a direct sequel to Curse of Monkey Island and sees Guybrush and his new wife returning from their honeymoon after having defeated the dread pirate LeChuck. However, when they reach home, they find their houses under threat from vicious property developers and must do their darndest to return things to normal. What follows is a familiar point-and-click adventure where you'll have to explore a series of pirate-themed environments, solving inventory puzzles and following branching dialogue options, as you attempt to save the day. This one uses a Grim Fandango-style system, where context sensitive icons appear whenever you approach items, while the visuals now use pre-rendered backdrops and 3D characters. This last aspect is one of the divisive elements of this entry in the franchise, and you'll either love the graphics or hate them. The script too isn't really up to the standards of earlier games, and simply isn't funny or clever enough to really hook you in to the slightly dull plot. The puzzles also fare pretty poorly, with no real duffers but which only serve to remind you how good the first two games were. Overall, this isn't a bad adventure, but one which stretched the formula a little too far. As in the rest of this fantastic series, the gameplay is adventure based, with the main character solving puzzles and interacting with other NPC's. 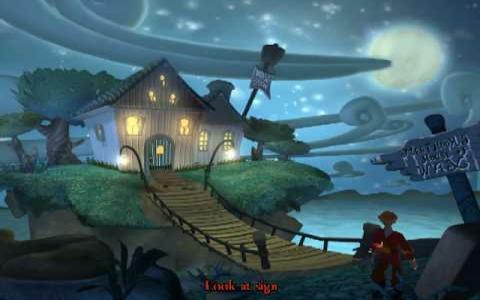 And as the rest of the Monkey Island games, the visuals are absolutely outstanding and remarkable. It looks like you jumped into a beautifully colored animated film. The music is also outstanding. The conversation is very humorous and the characters are beautifully personalized and very unique.The game is fun and full of adventures, and I recommend it especially to children for its relatively easy gameplay and fantastic storyline. 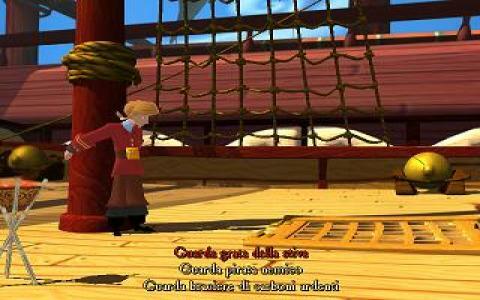 The Monkey Island series has gone a long way and made many childhoods better. This game deserves the title of the best of them.